Syscon has been working with Sage 100 Contractor, formerly Sage Master Builder, since 1995. We have been leaders in using this powerful solution to help make contractors’ businesses more efficient, more profitable and more rewarding in many different ways. 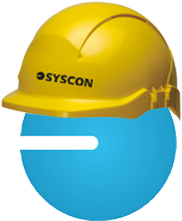 – Syscon still works with its first Sage 100 Contractor client; Syscon began handling their IT support back in 1989! We can put our experience to work for your business today with training, consulting, analysis and implementation.